Copyright has been retained by the Author and under the Copyright, Designs and Patents Act 1988 the Author has asserted their right to be credited as such. This image and part thereof can be used as the license states only. Resale, Copying and/or Distribution of any kind is forbidden with out prior written Permission from the Author. A public consultation on plans to centralise A&E services at an expanded hospital in Halifax has been launched by health bosses. Up to 300 beds could be added to Calderdale Royal Hospital under controversial proposals which would see Huddersfield lose its emergency department. Huddersfield’s 400-bed infirmary would be knocked down and replaced with a 120-bed site designed to carry out planned hospital procedures. Both towns would also have Urgent Care Centres under plans designed to tackle a £280m funding gap. 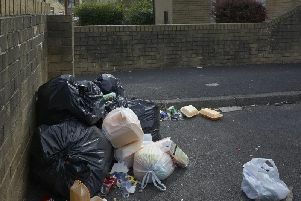 A 14-week consultation on the proposals was by Calderdale and Greater Huddersfield Clinical Commissioning Groups (CCGs). Calderdale CCG chairman and Rastrick GP Dr Alan Brook said: “We believe that the proposed changes, developed by senior doctors and nurses, will make the best use of available resources and will help us to deliver safe, high quality services in our hospitals and in our communities for years to come. The consultation will run until midnight on Tuesday, June 21. Clinical Chair of NHS Greater Huddersfield Clinical Commissioning Group, Dr Steve Ollerton, said: “The proposed changes are all about providing safer, better, clinical services appropriate for modern health care. Copies of the consultation materials will also be available in GP practices, hospitals, pharmacies and libraries, online at www.rightcaretimeplace.co.uk or by calling 01484 464212 .